A day after the latest "repeal and replace" proposal ran out of steam last week, President Donald Trump told reporters that he would "probably be signing a very major executive order" on associations that could affect "millions of people." What did the president mean? Kentucky Senator Rand Paul may know the answer. 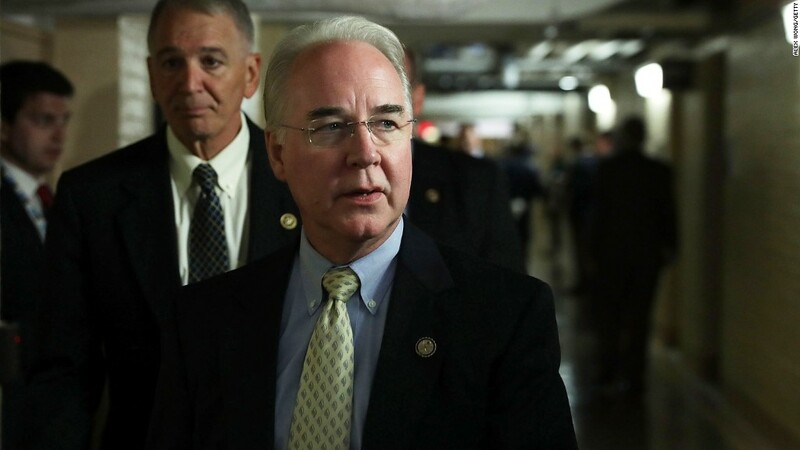 Earlier that day, he ignited a new round of health policy speculation by predicting, during a cable news interview, the Trump administration would take action on a longtime Republican go-to idea: association health plans. "If [consumers] can join large groups, get protection and less expensive insurance ... it will solve a lot of problems in the individual market," Paul said last week on the NBC show "Morning Joe." Under association health plans, small businesses can join associations — based on certain types of professional, trade or interest groups — that offer insurance to members. Republicans for decades have favored such arrangements, seeing them as a way for small groups to get more clout with insurers. Paul provided few details on what he thinks the administration will do, but some health care policy experts believe that he wants to free these association plans from state regulation. Instead, they'd be considered large group plans, which would be overseen by the federal government and not subject to many of Obamacare's rules, such as offering coverage across 10 broad "essential" categories of care, including hospitalization, prescription drugs and emergency care. As part of the effort to repeal the Affordable Care Act, GOP lawmakers this year tried, but failed, to pass legislation that would create new federally certified associations that could be sold across state lines with reduced state oversight. These plans have always been controversial. In the past, some had solvency problems and went bankrupt, leaving consumers on the hook with unpaid medical bills. In several states, regulators investigated whether the plans were advertising that they had comprehensive coverage when, in fact, they provided little or no coverage for such things as chemotherapy or doctor office visits. "They have history of fraud, of insolvency, of segmenting markets and there is often a loss of consumer protections," said Kevin Lucia, a research professor at Georgetown's Health Policy Institute. The ACA answered some of those concerns by setting minimum standards for coverage on most insurance policies, including many association plans, which prevents them from skimping on such things as doctor visits or prescription drugs. But their effect on the insurance marketplace remains a concern. Some policy experts say that if eligibility for association plans is broadened — as Paul would like — or granted exemption from some of the ACA's coverage rules, they might siphon off the healthiest consumers, which could drive up costs for other small group or individual coverage. "The bottom line is this could create an unlevel playing field," with some insurers having to abide by all the rules and others being exempt, said Cori Uccello, a senior health fellow at the American Academy of Actuaries. The academy outlined its concerns about association plans in a white paper in February. Still, Paul, who has long promoted association plans, said loosening the rules to allow more of them might find favor on both sides of the aisle. That's because many large-group plans are exempt from a number of the ACA's consumer protections, such as offering coverage across 10 broad "essential" categories of care, including hospitalization, prescription drugs and emergency care. Large-group plans also have more leeway in setting premiums, which can be based on the health of the group. The ACA bars this for individual and small-group plans. Associations that gain large-group status could therefore be less expensive if they are made up mainly of younger, healthier members. But such policies might also not cover services consumers find they need. In the past, Paul complained that associations had too many hurdles to meet. And last week, he said Trump could fix that through a "reinterpretation of existing law with a more expansive definition of who can form an association." That's when the speculation became frenzied — as some even hinted that the executive action — meaning it would be done without congressional action — could come as soon as this week. In a statement last week, America's Health Insurance Plans said it looks forward to seeing the details on any proposal by Rand or the president. But the health insurance lobbying group said the expansion of association plans raises some questions. "We need to be careful that the way in which [these plans] are used doesn't create further instability in the market, increase premiums, eliminate consumer and patient protections, or increase opportunities for fraud and abuse," the statement said. Love Obamacare or hate it? Having trouble paying your medical bills? Are your prescription drug prices too high? Tell us about it at Health Care Stories. You could be featured in an upcoming CNNMoney story.